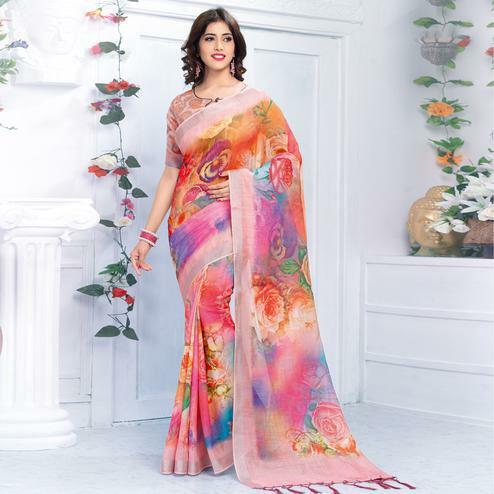 Look traditional on your festival season adorning this beautiful multicolored saree beautified with bandhani prints traditional design foil print work embroidered work motifs and ready made lace border. 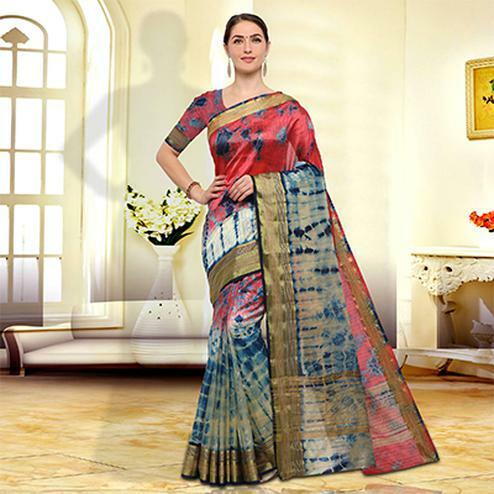 This saree is made out of georgette fabric and comes along with golden unstitched blouse piece. 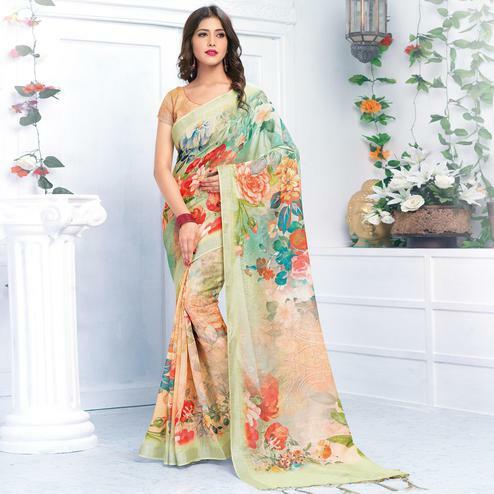 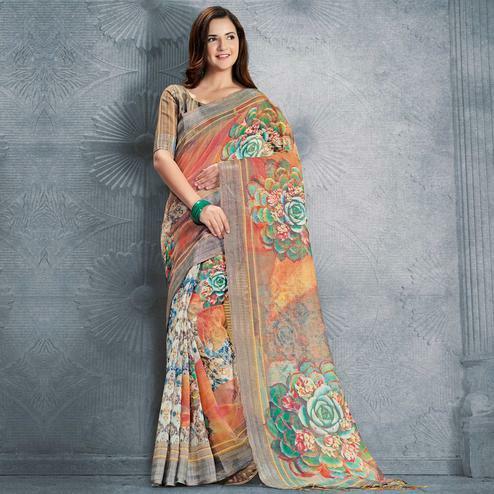 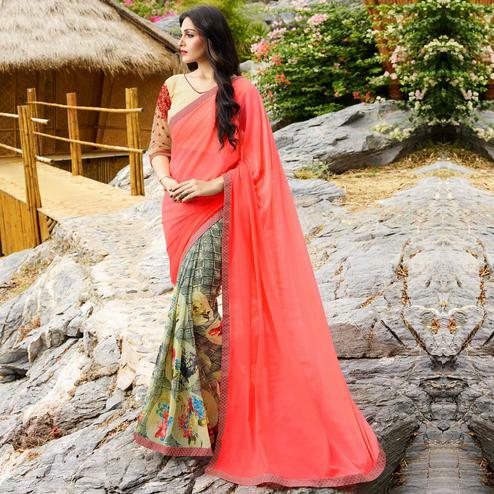 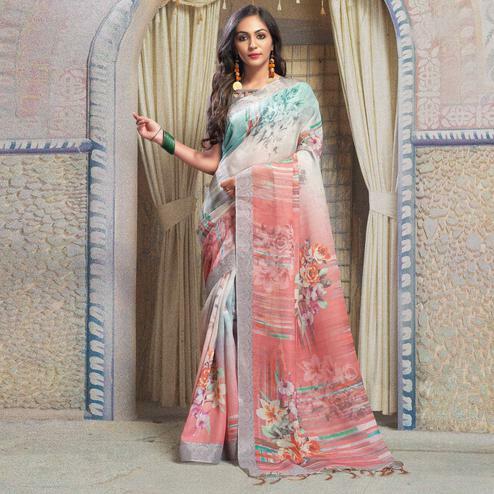 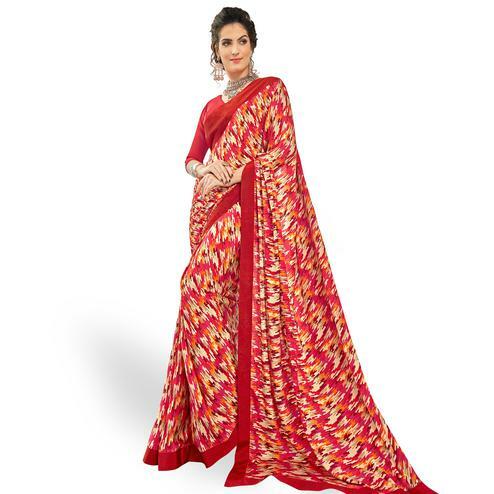 You can wear this saree for traditional functions and occasions.